April 14, 2012, Washington, DC: I never lived in a college town, even in college. For all the perks of big cities, one of the downsides is that they mask the richness of university life that exists there. University lectures and special events and sports can take second fiddle to the countless options available in the wider city. Life in a college town, manageable in size and absent the distractions of a major metropolis, was something I never experienced. But I've long imagined what great places these towns can make for people of all ages -- not only for young twenty-somethings but for professors and children and adults living nearby. I imagine that the intellectual curiosity of a school would seep into the culture of the place, that energized students would keep a community young. I returned to Charlottesville this weekend -- one of my many trips there over the years -- to explore the realities of adult life in a college town. On this visit to see friends, we plan a Friday night we likely wouldn't have in college. This time we attend an early evening block party at the McGuffey Art Center, just off of Charlottesville's Downtown Mall. For all the concerns my friends have had about moving back to their college town -- Would it be too small? Would they revert back to their college selves? -- this block party suggests they have found a new scene. In fact, the only demographic missing from the block party is undergraduate students; the event is otherwise filled with young children and parents and teenagers and older adults and working professionals. Musicians and artists are everywhere too. The crowd is casual and eclectic, decidedly quirky. Maybe every crowd is when compared to Friday happy hour in downtown Washington, DC. We venture inside the art center, a former elementary school, where neighborhood artists rent studio space. We wander into work spaces whose doors are wide open, places where the light is fantastic and the creativity is tangible and the music below wafts up through wide open windows. 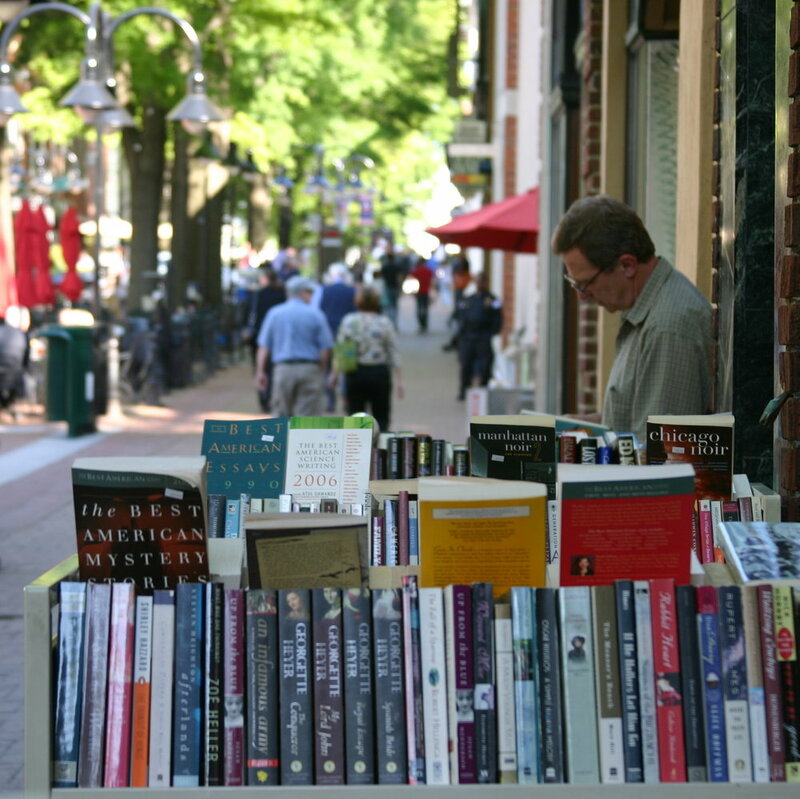 From this perspective, adult life in Charlottesville is offbeat and intellectual and colorful and creative. From this vantage point, it is clear that carving out a distinctly adult life here, just a mile from college, is entirely possible and full of opportunity.